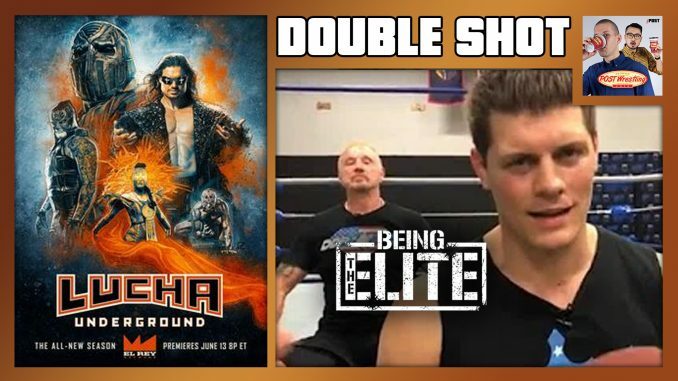 John catches us up on Lucha Underground Season 4 with a review of Episode 8 featuring the ongoing battle between the Worldwide Underground and the Reptile Tribe. Plus, TWO beheadings on the same episode. Wai & John review Being The Elite (Ep. 114) featuring the cast announcing ALL IN’s broadcast details. Plus, an update on Joey Ryan and cameo appearances from Billy Gunn, Jack Swagger and DDP.